Steinway K upright, pedal/electric Duo-Art, 1930. This is a very late instrument, in a mahogany case, and was the top-of-the-range upright Duo-Art. It has the 4-exhauster pump and separate electric motor (not the Motora turbine pump), which is much quieter in operation. The piano action has been professionally rebuilt, as has the pianola action, this work was carried out about 18 years ago. 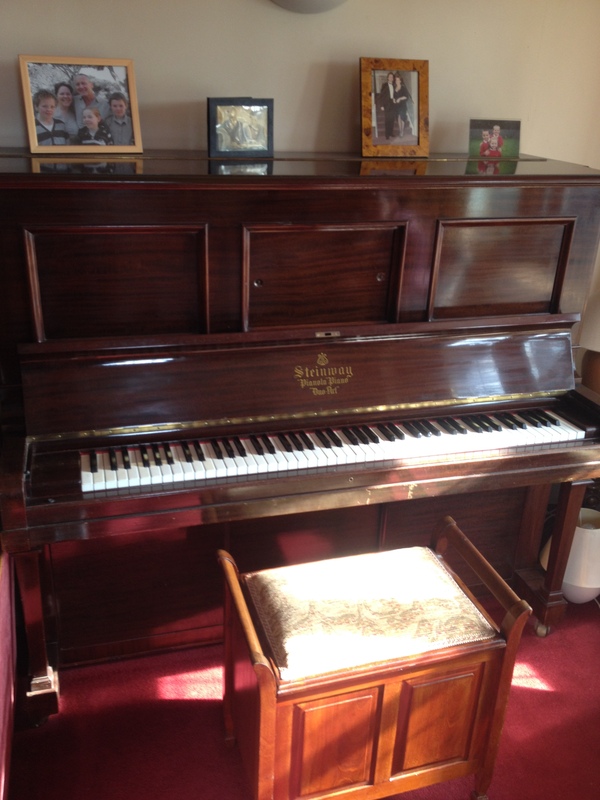 The strings, frame, soundboard etc are in good original condition, as is the casework. The ivory keys are excellent. The instrument has had little use in recent years, and will be re-commissioned/tuned/regulated when it arrives here. The final price will depend on whether we re-string it or not, and a prospective buyer will have this choice. The stool shown in the picture is not included. 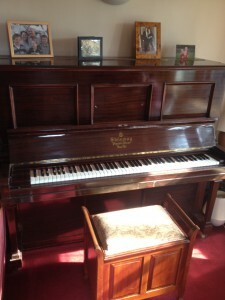 A rare opportunity to acquire one of the best Duo-Art reproducing pianos. (It is thought that only about 100 were made).